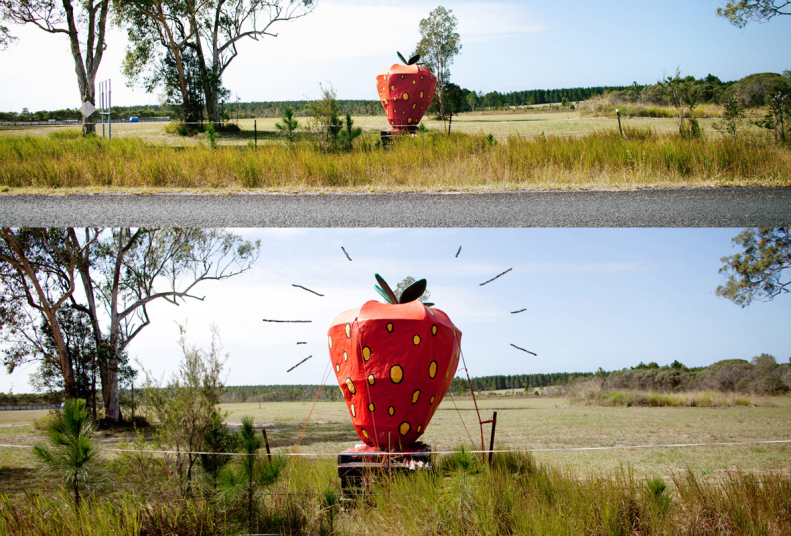 Don’t be fooled, like I did and think that the strawberries visible from the Bruce Hwy, during strawberry picking season (june-oct) are the actual Big Strawberry, no no no! These imposter 1m tall strawberries (there are two of them – seen below) are merely there to bring in traffic to Rolin Farms. The real gem (top photo) is at the farm itself. Address: Coming from the Sunshine Coast to Brisbane, Take exit no. 157 (Toorbul/Donnybrook) onto pumicestone rd, then the first left (road adjacent to the Bruce Hwy). 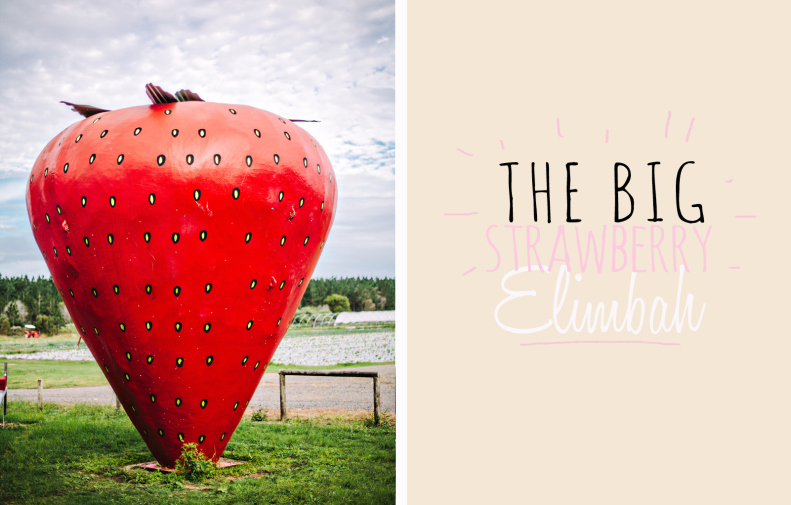 About 500 metres down this road you’ll come across one of the smaller imposter strawberries (during picking season june-oct) but you need to travel another 3kms down the road to the actual farm (124-190 Rutters Rd, Elimbah QLD 4516) to grab a picture of the Big Strawberry. Note: I was still able to grab a photo of the Big Strawberry in the off season!